According to Bloomberg, today the U.S. Department of Justice sued Apple and several book publishers over using agency model for e-book pricing. 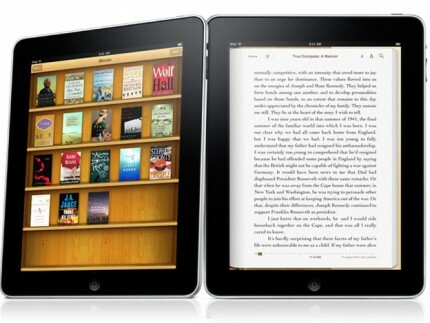 Reportedly, Apple and the publishers were unwilling to meet the demands of the Department of Justice. Settlement talks with some publishers had focused on dismantling the agency model which allows publishers to set retail prices and vendors to receive some percentage of this price. Apple had chosen to use agency model in order to limit Amazon’s power in this market segment, where it offers big discounts and sometimes even sells books at a loss in an attempt to attract customers who would buy other products through the site. However the Department of Justice considers that the agency model as used by the publishers amounts to collusion, with agreements between the publishers and Apple including provisions preventing the publishers from offering lower prices to competitors than they offer to Apple. While the government claims that the agency model has an anti-competitive impact on the market, Apple and a number of publishers have stated that the move has enhanced competitiveness by limiting Amazon’s dominance on the book market. As a result, the two parties have been unable to achieve a settlement.